We are a growing group of dedicated individuals who seek to live a life more fully accessed and realised than may otherwise be possible. Essentially, we are individually and collectively committed to the practice, development and promotion of the Chinese ‘internal’ martial arts and Daoist development systems; as taught by Roy Jenzen. The term ‘internal intent’ says more about what we do than who we are. 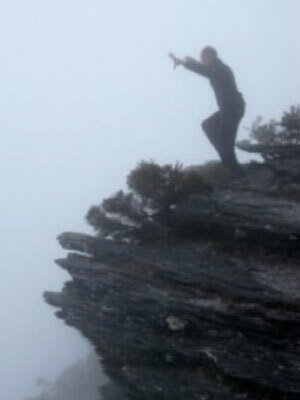 Although there are three classical styles of the internal martial arts (nei-jia) – Xingyi chuan, Bagua zhang and Tai Chi chaun – the two we consider most central to our purpose are Xingyi and Ba Gua; together with the original Daoist nei gong (inner skill) work that both informs and enhances the practice of the martial methods. Indeed, Daoist nei gong practices provide the matrix for the development of any real skill (gong fu) in the internal martial systems, and itself has its genesis in early shamanic practices dating back at least 3,000 years. It is through the understanding of the wholistic and integrated nature of this work, and of the fundamental importance of having access to, and learning, a complete system – that the dedicated student is presented with the opportunity to enter the hallowed halls of real ‘internal’ martial skill. It then becomes clear why these systems are not only formidable fighting arts but are also intrinsically endowed methods of healing and self-cultivation. It can be said as an overview that training in the internal systems is founded upon the process of re-educating what is often a ‘normal’ body (and mindset) to that of a more ‘natural’ one. The process begins with structural and postural directives that may at first seem to only act on a physical level, yet the student has already begun a remaking process, which can, and often does, bring about quite remarkable changes on many levels. From this template of structural integrity the internal systems practitioner can begin to develop natural strength and encourage the free and harmonious movement of energy and blood, which can be clearly and unambiguously demonstrated (both to him/herself and to others if necessary) by the ever developing skill of ‘nei-jin’, or inner power. This is not something mysterious but rather the natural product of correct and systematic training. We emphasise again the fundamental importance of having access to a complete and integrated system of training if one’s desire is to develop true skill (gong fu) – this approach to training graced the education of many, if not all, of the great old masters, yet is lacking in many of today’s schools. First and foremost the beginning student needs to understand that training in an internal martial arts system(s) is difficult and demanding, both physically,mentally, and sometimes emotionally. The very nature of the work ensures, even demands, that this is so. There is no place in real internal martial and Daoist nei gong work for a “softly, softly, feel the chi!” esoteric approach; or for a compulsive mindset, devoid of any structural foundation and energetic root, to “connect my du channel to my ren channel” – if one’s du and ren channels are not already connected then one might very well need to be on life support! No, real ‘internal’ work will (and should) push and challenge the student on many levels and yet it is precisely because of this that the transformational treasures inherent in this work are revealed. Xingyi is an ‘internal’ martial style (or more correctly and originally a system in itself) that has its roots firmly in the original Daoist concepts and practices and may well be the oldest of the internal martial methods. It is thought that Xingyi was developed more for combat skill on the battlefield rather than as an art of self defence, and the inherent direct and assertive nature of its practice supports this view. Some sources say that its basis was originally just three fundamental techniques, although most schools today have embraced the ‘5 fists’ method of its practice, which has its roots in Daoist world view concepts and, later, Chinese medical thought and practice. Later in its development the skills basis of Xingyi and its combat versatility was enhanced by the integration of animal styles (classically 12) into the system, although these too had deeper Daoist methodology behind their introduction. One of the great strengths of Xingyi is its system of ‘nei gong’ methods which access and integrate internal structural, functional and energetic connections to produce the dynamic ‘whole body power’ that the internal arts – and Xingyi in particular – are renowned for. Without the essential nei gong skill Xingyi becomes just a form; a “tiger without its bones” as the old ‘master hands’ say. One of the keys to the practice of Xingyi is to be found in its name: body (xing) mind (yi) as one; integration of form (xing) and intent (yi). In some respects Xingyi chuan practice forms the hub or the core of our methods in the school. However, gaining a firm understanding and deep appreciation of its sister art, Bagua zhang, is essential for the higher skills necessary to become a dynamic and informed internal martial arts practitioner. Like Xingyi, Bagua has its roots deep into ancient Daoist concepts, and indeed the martial art evolved from early Daoist ‘circle walking’ practices, a method used by the Daoists (and probably shamanic in origin) to “communicate with heaven and earth”, and integrate celestial and earthly energies with that of the practitioner. Ba Gua places a (natural) emphasis on circular movement and on constant motion, and has neigong practices that are similar to those of Xingyi, although they may be more static in their development and horizontal in their application. 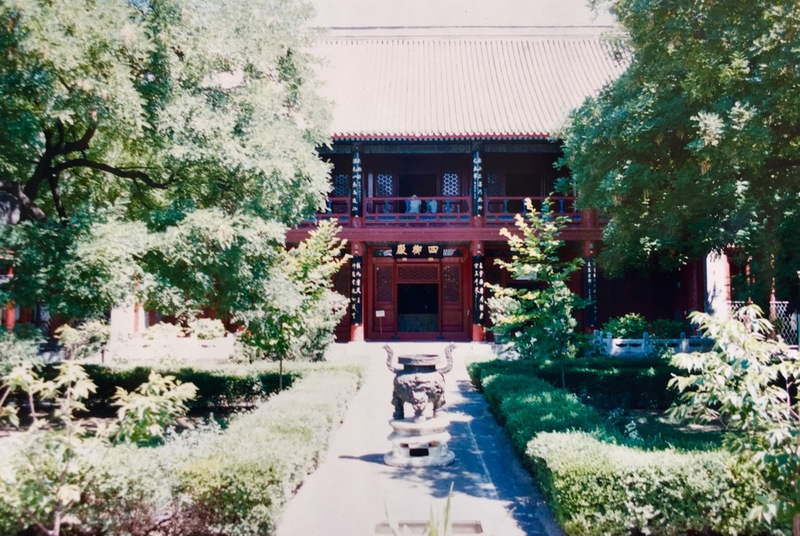 It too aligns with the ancient Daoist concepts, having been developed to conform with the Ba Gua (eight directions of energetic movement and influence) theory of constant change. Woven into our practice with inseparable intimacy is neigong work, which we consider fundamental to, and a hallmark of, true internal martial arts training. These deceptively simple exercises build inner structural and functional connections and integrity, and are the source of the secret or mysterious skills of the masterhands of old. Neigong work is combined with ‘qigong’ (energy work which promotes the flow of ‘qi’ and blood) in a natural and interdependent way. Although to some extent it is possible to practice qigong without an understanding on neigong work, a natural outcome of correct neigong work is that qigong skill is developed and acquired at the same time. So, in practice, the two terms (qigong and neigong) are in fact functionally inseparable, and this is how it is taught and practiced in our school. This is applied to our approach to the practice of the classical qigong methods as well, such as the “Ba Duan Jin” ( eight pieces of silk) and the (earlier) “Five Primal Animals” sets, so that they are brought more to life and the benefits intrinsic in their spirited practice become more discernible. Roy is the founder of the Internal Intent school and representative of a martial and health tradition that spans the centuries. 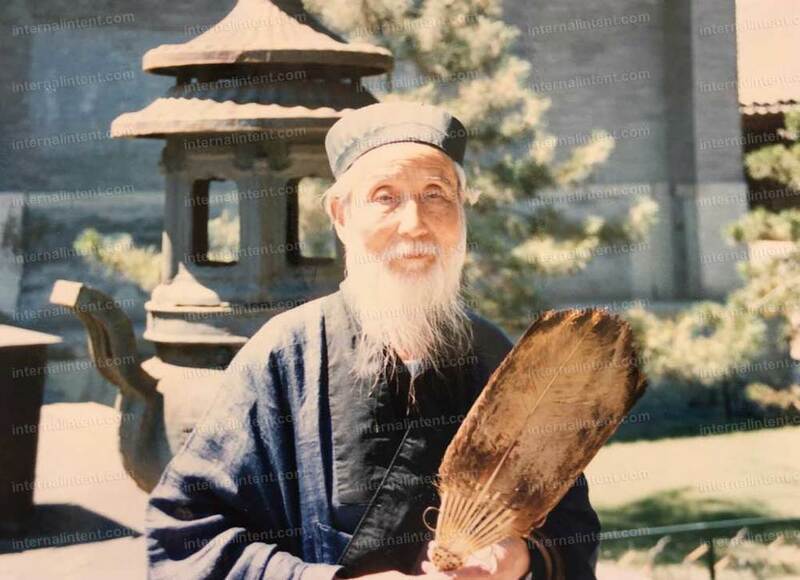 He has a deep understanding of both Chinese Medicine and the true internal methods of the martial arts, which also embody Daoist original method “Qigong” skills. 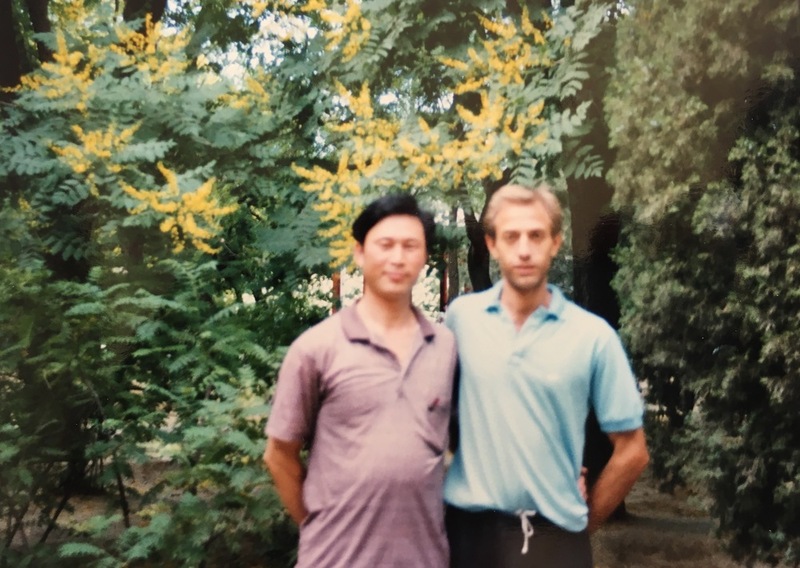 He is one of the very few partitioners of his generation to have lived in China through the 1980’s and to have studied and worked with the last of the great old masters of the Internal Martial Arts, as well as with other more obscure teachers just emerging from the dark and repressive years of the “cultural devolution”. In the decades since this “Source Training”, Roy has dedicated himself to developing and sharing his skills and has established a growing network of international schools and a core group of senior students dedicated to “showing the way”, and to the continuation of a rich and precious lineage. the Li Cun Yi lineage method of Xingyi chuan and, later, the Guo Yun Shen method. the Liang Zhen Pu lineage method of Bagua Zhang and, later, the Gao Yi Sheng lineage method. * Although direct lineage teachings are invaluable (and a rare privilege), we feel some care must be taken to ensure they do not restrict and confine ones individual process of further development and understanding of intrinsic natural method, without compromising the roots and principles of these arts.